President Andrés Manuel López Obrador (AMLO) has reached his first 100 days in Office as the first leftist President in Mexico. He has garnered the greatest support at the beginning of a term of a new government in 30 years ago, primarily as a result of strong support from the people, which is strengthened by a vision of change. 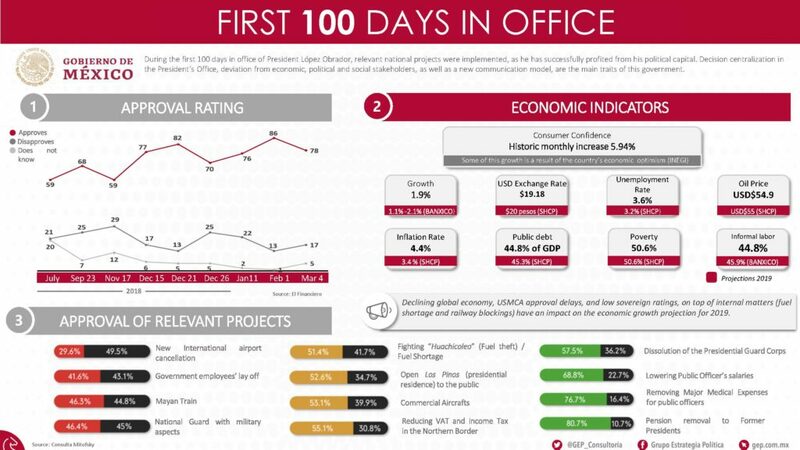 These first days have been of great relevance to advance what he calls the “Fourth Transformation”; however, President López Obrador has faced difficulties materializing his projects and 4% expected growth. 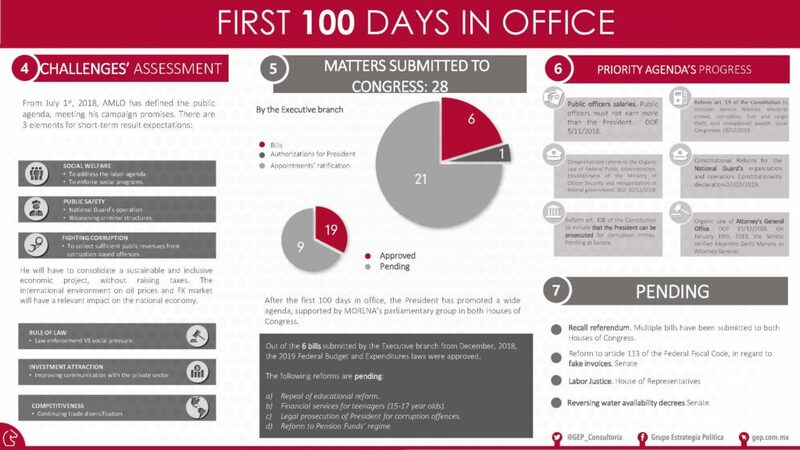 Here is a quick breakdown of the first 100 days under AMLO provided by Interel Global Partnership member in Mexico, Grupo Estrategia Politica.